Candidate Gavin Duffy won 2.2% of the vote. GAVIN DUFFY HAS received 2.2% of the vote in the presidential election, the lowest percentage vote of any candidate ever to run for the office. The first national count confirmed that Michael D Higgins was re-elected as president for a second term with 55.8% of the vote, 822,566 first preference votes. The count also showed that Gavin Duffy received the fewest votes off all the six candidates, 32,198 votes or 2.2% of the first preferences. That result means that Duffy has received the lowest first preference vote of any candidate to run for the presidency, lower than Mary Davis seven years ago. The previous bottom three in that list comes from the last two presidential elections. In this election and the previous two, there has been a greater number of candidates contesting for the presidency, diluting the vote and making smaller votes more likely. This is due the county councils nominating candidates, which they were entitled to do before 1997 but had not done so. Before 1997, only candidates nominated by the Oireachtas or self-nominating had gone forward to the people. The first thing I want to say is the people have spoken and they’ve spoken very very clearly with a large mandate, we’ll learn later on it could be a historic mandate for my president and your president Michael D Higgins. And I want to wish him all the best and extend every good wish to him. Email “Gavin Duffy has just set an unfortunate record in finishing bottom of the pack ”. 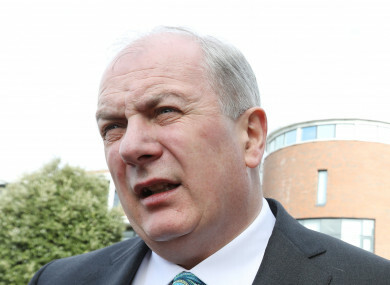 Feedback on “Gavin Duffy has just set an unfortunate record in finishing bottom of the pack ”.